Ginseng Root – panax quinquefolium, has a long and illustrious history as one of the finest herbal tonics that one can take. 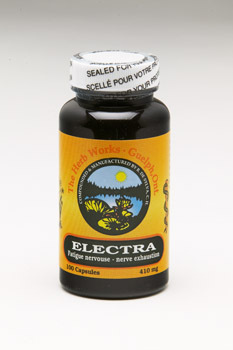 Like its oriental cousin – Panax Ginseng, or its Siberian relative – Eleutherococcus Senticoccus, it is one of the few herbs that can truly be called an adaptogen. 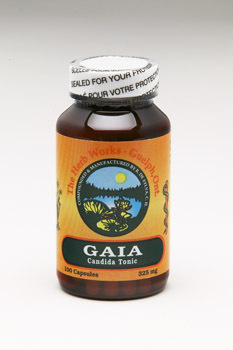 An adaptogen, as defined by L.I. Breckman and I.V. Dardymov of the former Soviet Union, possesses a normalizing influence, increases resistance to the adverse influences of a wide range of factors, and causes minimal disorder in the physiological functioning of an organism. 1 Ginseng Rt is quite capable of fulfilling these conditions. Recent research has shown Ginseng to be of benefit in normalizing blood sugar levels – whether they be low(hypoglycemia) or high(diabetes). 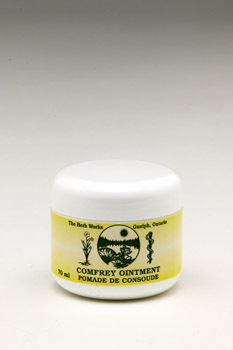 Likewise, it has helped normalize blood pressure, raising both low blood pressure, and lowering high blood pressure.. In addition, it will help to regulate the ratio of white and red blood cells in the body, stimulate the endocrine system, and help maintain proper levels of hormones in the blood. 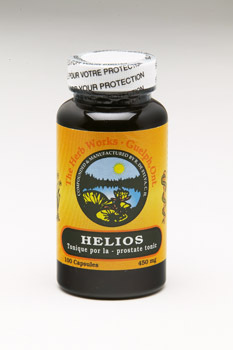 It has been used for depression, to help increase endurance in athletes, and to combat stress and fatigue. Additional effects include a pronounced tonic effect in cardiovascular disorders, such as rheumatic heart disease, and the buildup of plaque(atherosclerosis). 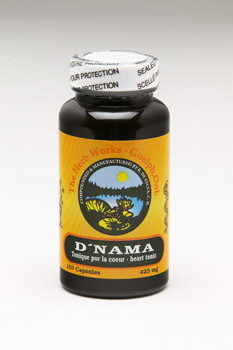 It will help lower serum cholesterol, and inhibit the uptake of cholesterol from foods in our diet. One of the most encouraging findings suggests that the ginsenosides found in Ginseng will help achieve “re-differentiation” of cancer cells – that is, it helps to change the cancerous cell back to normal. However, one should not look upon Ginseng as a cure-all for this condition. Finally, for those who have cancer, and receive radiation/chemotherapy, it has been found to substantially reduce the effects of radiation- nausea ,hair loss, weakness, etc. 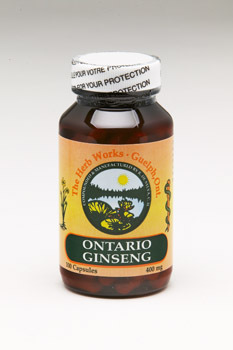 Ginseng’s remarkable benefits are attributed to the wide array of bio-chemicals found in the roots. These substances are called ginsenosides – a complex carbohydrate molecule containing a sugar and an alcohol/phenol component. There are at least six primary and seven secondary ginsenosides as well as arabinose, camphor, mucilage, resins, starches, vitamins B1, B2, Iron, phosphorus, manganese, Cobalt, Copper Sulphur and Germanium. 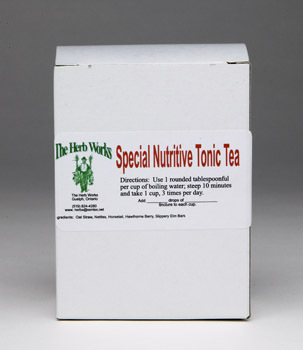 As with most herbs, the therapeutic benefit stems from not just the active ingredients – the ginsenosides, but the synergistic balance of all the minerals and associated compounds. Suggested Dosage:	Take one capsule in the morning, and another in late afternoon. 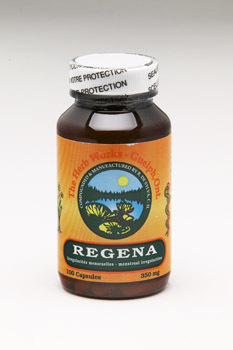 Contra-Indications:	Do not take Ginseng during pregnancy, or before retiring. The perception of the pancreas as just being responsible for blood sugar irregularities, is only partly true: it also looks after the production of a number of key digestive enzymes: lipase, protease, and amylase. In addition, it produces Sodium Bicarbonate to neutralize the stomach acids in the food mass, as it enters the small intestine for absorption. Equally, it must be kept in mind that another of its digestive enzymes called pancreatin, not only digests proteins, but also serves to help digest cancer cells in the body. The onset of many cancers, is inextricably linked to a deficiency of the pancreas. When we suffer from digestive upsets, particularly what was once referred to as bilious colic – notable for the belching, and other eructations, both the pancreas and liver are involved. Equally, the pancreas can be the ‘dark horse’ in obstinate cases of constipation. The pancreas takes it signal from the liver; when one is deficient, it leads to the other falling down in its duties. 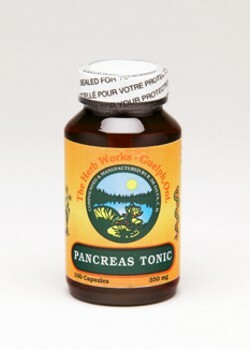 This particular mixture of herbs will help to restore the functioning of the pancreas in these two key areas: normalizing insulin production, and that of enzymatic activity. 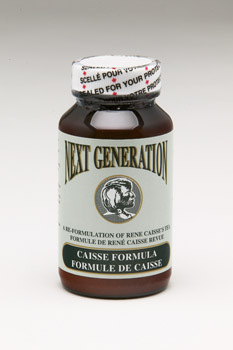 Suggested Dosage:	Best results are obtained through a gradual introduction. Start by having 1 capsule before breakfast, and again before the evening meal. 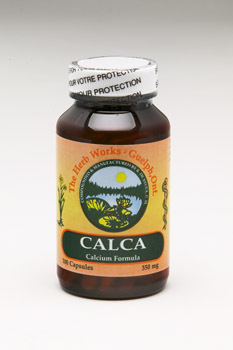 This can be increased to 2 capsules each time after 1 week has passed. Take for a period of 1 month, then break for 1-2 weeks. Resume afterwards for another month, unless directed otherwise by a qualified practitioner. Many years ago, my grandfather, a doctor in Scotland, would dose his children every Spring with a mixture of Sulphur and molasses. 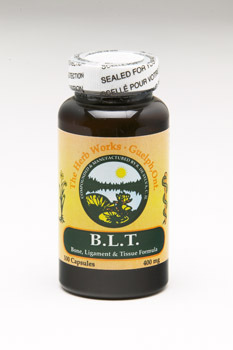 This tonic was meant to loosen the detritus of the winter diet, heavy with starch, meat and few vegetables. While well intended, the Sulphur was in elemental form, and thus tended to produce weak acids (sulphurous, etc) that did little more than tarnish the silver medallion they wore around their neck to check on the elimination of the Sulphur through the skin. 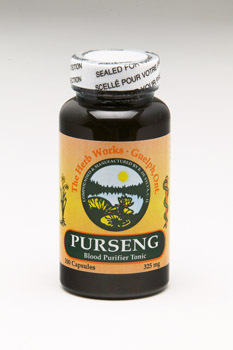 While we all benefit from a regular cleansing/rebuilding regimen for the blood, it is necessary to employ those herbs that have organized Sulphur, and other minerals in their make-up. 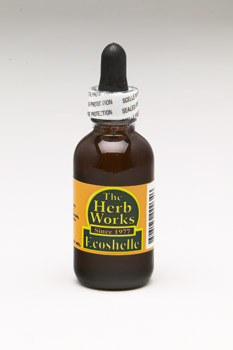 This synergistic blend includes a number of herbs, roots and barks that provide excellent germicidal, and anti-bacterial action. 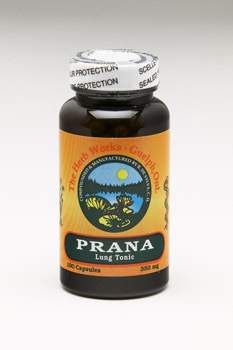 Further, there are herbs that provide substantial nutritive and sanative effect In addition, other herbs provide dissolving and astringent qualities, while others supply much needed minerals to help shift the (ph) balance back in favor of normal values. 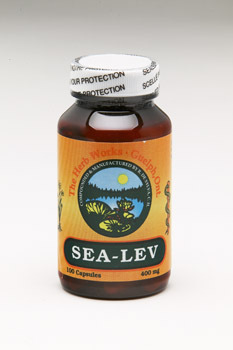 This formula can be combines well with SEA-LEV as an powerful restorative to the blood. Some may need KPH1 (Kidney Tonic) to assist in flushing the waste matter out . Check with a qualified practitioner if in doubt. 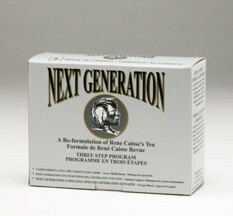 Suggested Dosage:	Take 2-3 capsules, after breakfast, and again after the evening meal. This combination of the previous ‘LEVITICUS’ and ‘SEA-VEG’ provides substantial amounts of two key metabolic nutrients: Iodine & Iron – the former as Potassium Iodide and the latter as Chlorides, Phosphates, Sulphates etc, of Iron. 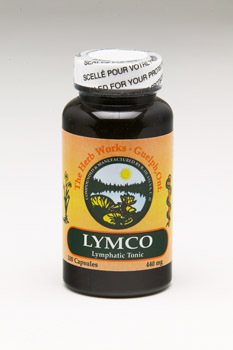 Those containing Iodine are pivotal in the stimulation of the thyroid, and the herbs containing Iron – in the regeneration of the blood. Additionally, one must consider the trace mineral profile(s) of the Nettles, Dulse and Bladderwrack, as well as their glycoproteins / mucopolysaccharide content, and the immune-potentiating ‘fucoidans’ (Bladderwrack). Viewed thus, it becomes apparent how this formula will assist the blood to provide comprehensive nourishment to the whole of the endocrine system and the body’s attendant organs, glands and systems. Further, the pH of the blood: the boundary line between acid & alkaline (base) requires plenty of the various mineral ions to determine the ideal value of between 6.5 and 7.5. When the pH is too high or too low, enzymatic activity is greatly reduced, with the resultant metabolic processes reduced to a minimum. 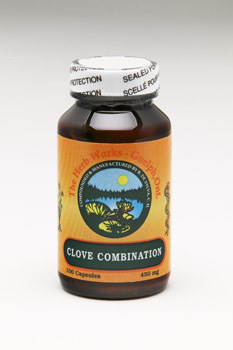 This formula is most useful for depleted or chronic conditions of the blood and circulatory system, and as additional background support for many other conditions . 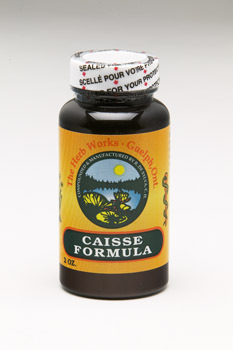 Suggested Dosage:	2 – 4 capsules, twice daily. 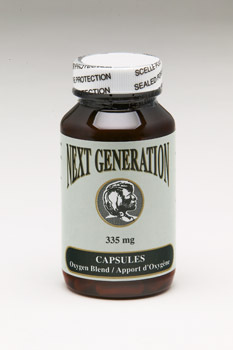 Dosage should be in direct relation to age, weight, and chronic nature of the ailment. Contra-Indications:	Not to be combined with pharmaceutical medications for hypothyroidism or low Iron. Disease may start in the bowel, but it gets a ‘push’ from a deficient digestive system. When we are lacking in digestive ‘fire’, foods are not entirely or adequately processed. Enzymatic activity may be impaired on the part of the liver or pancreas; the stomach may not produce enough hydrochloric acid; pepsin and other digestive ferments may be missing or incomplete… many things can and do go wrong in the alimentary canal, including upsets in the pattern of alkaline(mouth) acid(stomach) alkaline(small intestine) and acid(large intestine) sequences. In this regard, the pancreas make be unable to produce enough sodium bicarbonate to neutralize residual stomach acid in the food mass as it reaches the small intestine. Absorption is thus impaired, the villi of this stretch of the intestine may become irritated, and sensitive, a certain pre-cursor to (some) food allergies. The obvious need to correct dietary indiscretions that directly overwork the digestive apparatus – junk foods, fatty foods, over-indulgence of starches, etc must be eliminated or greatly reduced. 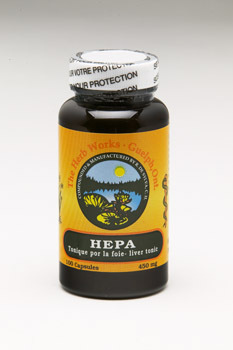 Finally, the periodic use of the above formula will serve to eliminate dyspepsia, hypchlorydia (insuffic. Hydrochloric Acid) chronic heartburn, excessive gas and flatulence. 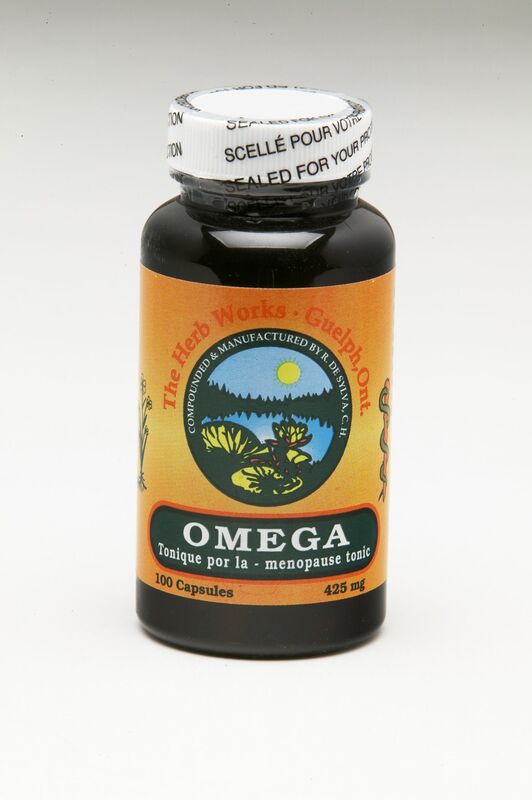 By correcting the organ/gland/systemal dysfunction, digestion and absorption improve, cellular nourishment increases, and the heaviness after meals fades into memory. Suggested Dosage:	Take 2-3 capsules 5-10 minutes before breakfast, and again before the evening meal. 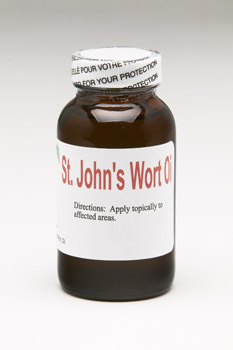 Contra-Indications:	Do NOT combine with other digestive bitters, or parasite programs involving additional Wormwood. 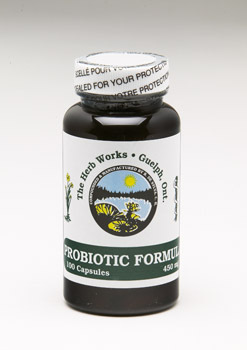 This formula should NOT be used if there is any inflammatory process, ie ulcers, Crohn's, IBS, etc. This formula should not be taken during pregnancy or nursing. This is an excellent preparation made from the fresh/fresh frozen green hulls of the Black Walnut tree; it has germicidal, anti-fungal ,parasiticide and some anti-viral properties. 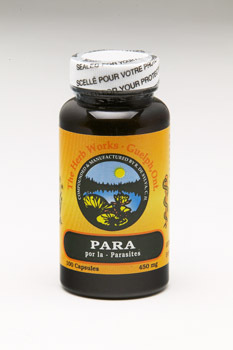 It should be used in conjunction with both the PARA and the GAIA formulae, as it will provide substantial support in the treatment of these and other ailments. It is also of service in intestinal irritation, where there is inflammation; mucus and hemorrhagic discharges such as leuccorhea and bleeding piles. 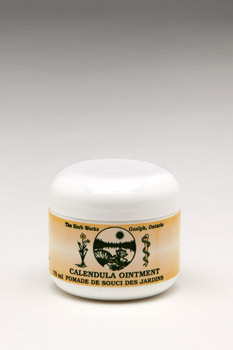 It will be helpful in diarrhea, dysentery,and abscesses and apthous mouth ulcers. 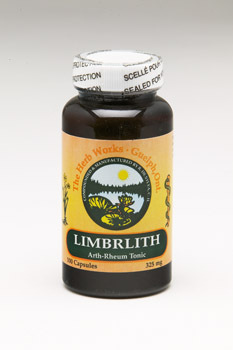 Can be used for cases of food poisoning, in the order of 1 tablespoonful in a glass of warm water, every 2 hours. For those worried about prior allergic reaction to Walnut, specifically the nut meat, I have found those same persons to be able to handle the tincture of the green hulls. 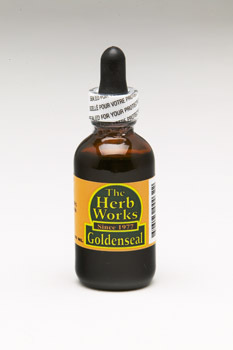 However, for first time use by such an individual, I suggest 1-2 drops in a ¼ cup of water. Take a sip and wait to see if any reaction. 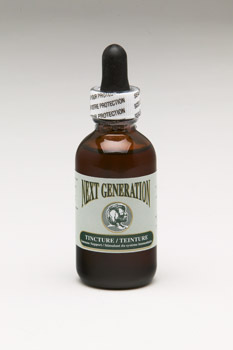 If none, gradually increase dosage by 1-2 drops a day, until full dose is reached, or until tolerated. Suggested Dosage:	Take 30 - 45 drops in a glass of warm water, morning and evening. Contra-Indications:	As with other formulae, not to be used in conjunction with other drugstore remedies for the same conditions.